In the midst of Islamophobia and the media’s repeated attempts to depict Islam as a religion which leads mankind to aggression and negativity, the world has forgotten or simply turned a blind eye and deaf ear to the great contributions made to the civilized world by renowned Muslims scientists, scholars, mathematicians, philosophers, physicians and inventors. At one time, when Europe was still climbing out of the Dark Ages, those seeking education and enlightenment turned towards the Muslims. One such scientist was Abu Ali al-Husayn Ibn Abdullah Ibn Sina, born in Bukhara in 980. Sometimes known in the West by the Latin name, Avicenna, this Persian physician became the most famous and influential of all the Islamic philosopher-scientists. He earned royal favor for treating the Kings of Bukhara and Hamadan for ailments other physicians could neither diagnosis nor cure. His grave is still maintained in Hamadan, where he passed in 1037. Though trained as a physician, Ibn Sina made important contributions to philosophy, mathematics, chemistry, and astronomy. Ibn Sina’s most enduring legacy was in the field of medicine. 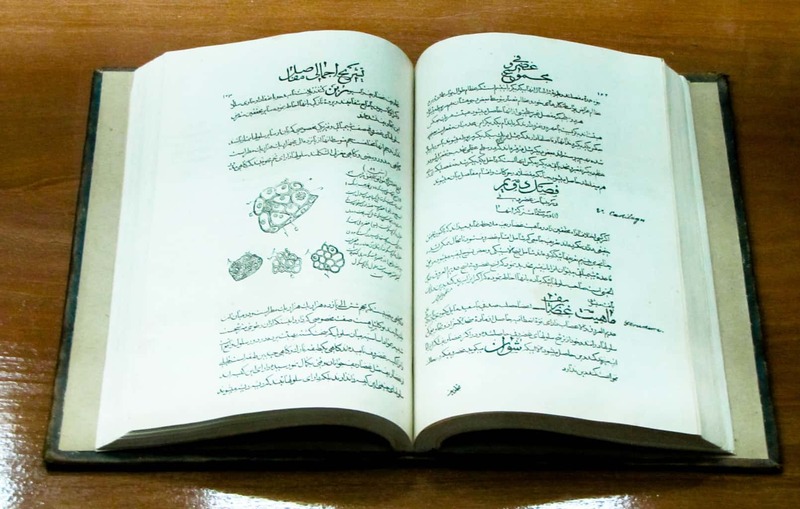 His most famous book, Qanun fi’l-tibb (“The Canon of Medicine”) is still one of the most important medical books ever written, and served as the medical authority throughout Europe for 600 years. Among the Canon’s contributions to modern medicine was the recognition that tuberculosis is contagious; diseases can spread through water and soil; and a person’s emotional health influences his or her physical health. Ibn Sina was also the first physician to describe meningitis, parts of the eye, and the heart valves, and he found that nerves were responsible for perceived muscle pain. He also contributed to advancements in anatomy, gynecology, and pediatrics. This massive general medical encyclopaedia was composed over a lengthy period of time as its author moved westward from Gurgaon in northern Iran, where it began, to Rayy near modern Tehran and then to Hamadan even further southwest, where it was completed. The sheer size of the encyclopaedia tended to reinforce its authoritative nature, and even its title “Qānūn” meaning “canon” or “codes of law”, contributed to this view. The Canon consists of five “books”. The first book (Kitāb), also called al-kulliyat , concerns general medical principles and often circulated separately from the rest of the encyclopedia, especially in Europe. The second book is on simple drugs and materia medica, in alphabetical order. The third is on therapy, arranged in order of the site of the ailment from head to toe, in 22 chapters (funun). The fourth book is on those diseases not restricted to a single part of the body, such as fevers. The final book presents recipes for compound remedies. Due to its enormous size, relatively few complete copies are preserved in either the original Arabic or in Latin. The National Library of Medicine has one of the few complete copies. There is no modern European-language translation of the entire Canon. A translation of the first book only, made from the medieval Latin version and not directly from the Arabic, was published by Cameron Gruner, “A Treatise on the Canon of Medicine of Avicenna Incorporating a Translation of the First Book” (London, 1930), and a translation of the first book only, made from an Urdu translation and also not directly from the Arabic, was published by Mazhar H. Shah, “The General Principles of Avicenna’s Canon of Medicine” (Karachi: Naveed Clinic, 1966).